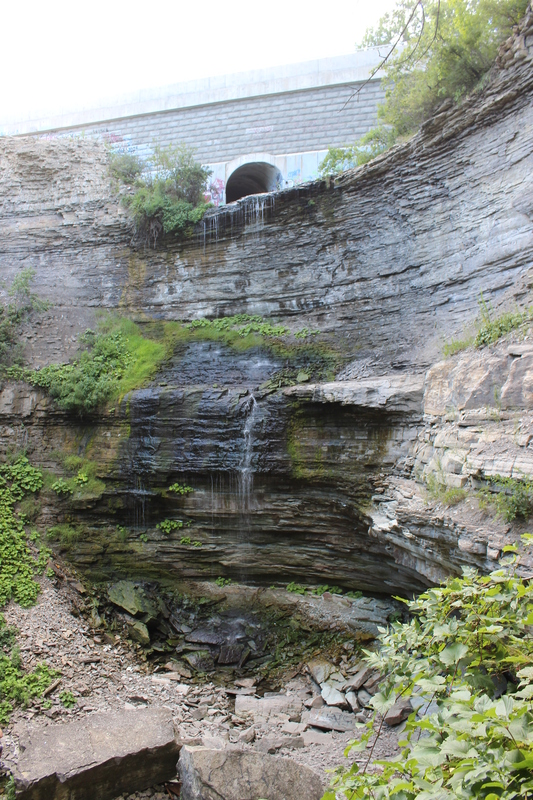 A few years ago, I discovered that Hamilton is home to over 100 waterfalls (we took our first trip down to check some out a couple years ago – read about it here!). Since our last trip, I’ve found a few other notable ones to check out. I’ve also discovered Google Maps – Route Planner, which is AMAZING! It’s perfect for planning out a road trip and it really helped in our case of which order to visit the waterfalls in so that weren’t driving all over. Our first stop was Devil’s Punchbowl. 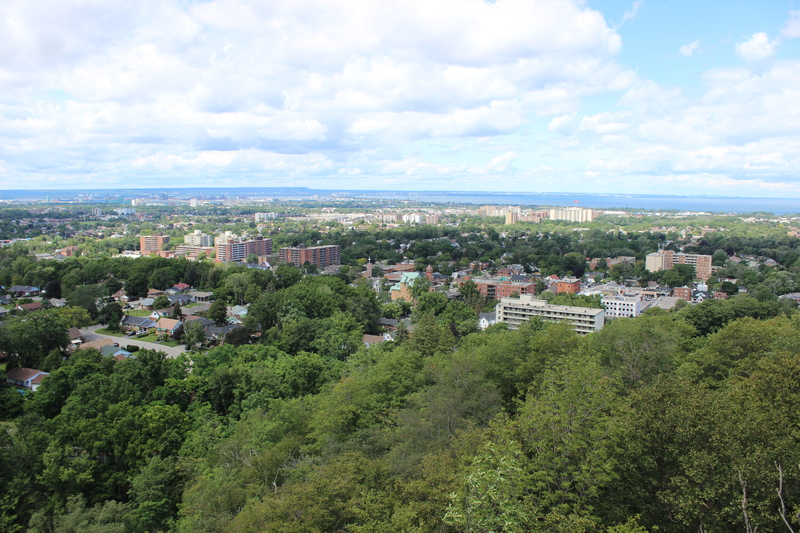 From this area there is a spectacular view of Hamilton. Not a ton of water flowing at this time of year, but just enough for a fairly decent shot. Although you can see these falls from the top (avoiding hiking down to it) the best view is definitely down near the base. 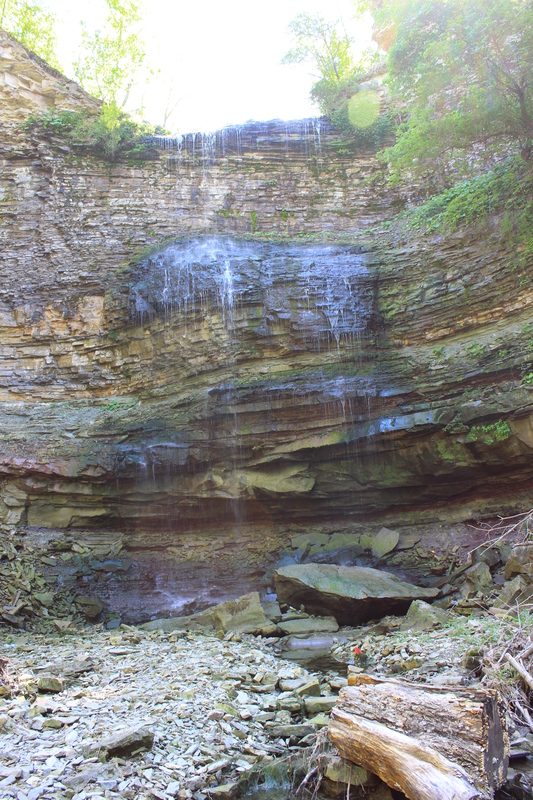 Our second stop was Felker’s Falls. This one didn’t have any actually defined trail in which to get down to the base of the falls so it did involve a bit of hill scaling to see. There also aren’t a ton of people who would scale down to the base of this one so you most likely will have the place to yourself for plenty of photo ops. 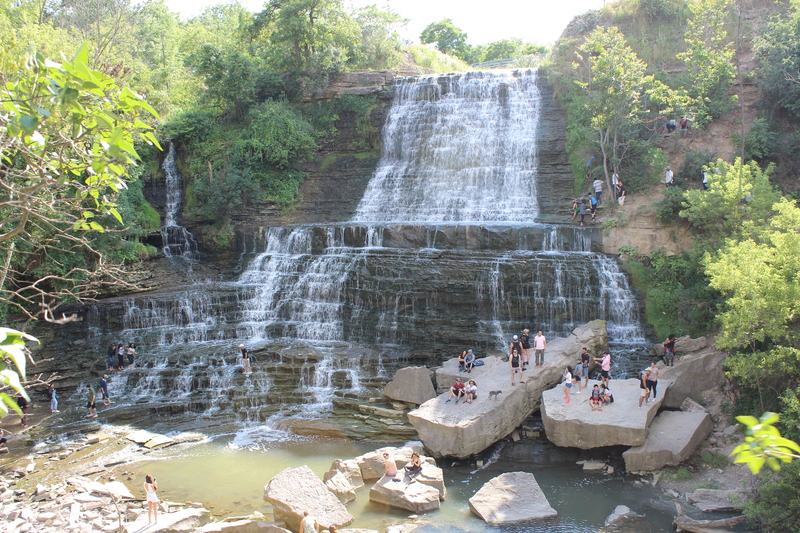 Albion Falls was the third spot that we visited and it was definitely the busiest! These falls are located in a high traffic area (under a main street bridge) and has an easily accessible trail that will take you from the road to the base of the falls. That being said, the trail itself to get there was very busy with people as well. Once you get there you can definitely see why it’s so popular, it’s gorgeous! Last and final stop was Buttermilk Falls. This one was the toughest one to see as you couldn’t see anything until you got to the base, as well the hill climb down was also pretty steep. I imagine if there was more water flowing this waterfall would be quite nice as well. And that’s it for round 2! 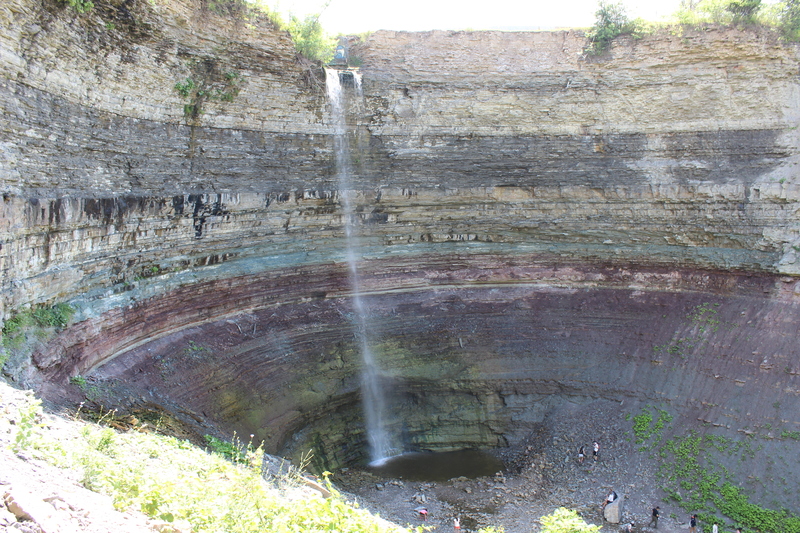 Hamilton waterfall tours are a great little day trip or even afternoon trip away from Toronto and I’m definitely looking forward to the next one. Stay tuned for round 3!